Milan: Sharjah will undertake a first-of-its-kind project in compiling the ‘Historical Dictionary of the Arabic Language’. The dictionary will examine 17 centuries of development in the Arabic language, as well as Arab culture. The project was announced the Arabic Language and Culture Festival in Milan, by Sharjah’s Arabic Language Academy Secretary-General Dr Mohammad Safi Al Mosteghanemi. Al Mosteghanemi describes the dictionary as a “great work”, representing the collective memory of the Arab world and documents its news, literature and history. He revealed that the creation of this dictionary previously undertaken by several researchers and institutions proved to be too Herculean for them given the scale of the project. “The project was resumed after receiving the Sharjah Ruler’s directives, and is nearing completion. The dictionary will be published soon,” he added. Its contents will chronicle the Arabic language and culture over the last 17 centuries in three research stages — old inscriptions, the Semitic branch of languages with a focus on Arabic, as well as the practical use of the language. It will encompass five ages: pre-Islamic, Islamic (Umayyad and Abbasid), separatist dynasties, the Mamluk Sultanate and modern history. He explained that more than 300 senior Arabic researchers and linguists, editors and experts divided into nine committees in nine countries are working on the creation of the dictionary. The project’s executive committee is based in Sharjah while the higher editing committee sits at the Union of Arab Scientific Language Academies’ premises in Cairo, Egypt. The emirate of Sharjah was participating in the fourth edition of the Arabic Language and Culture Festival in Milan, where the announcement was made. 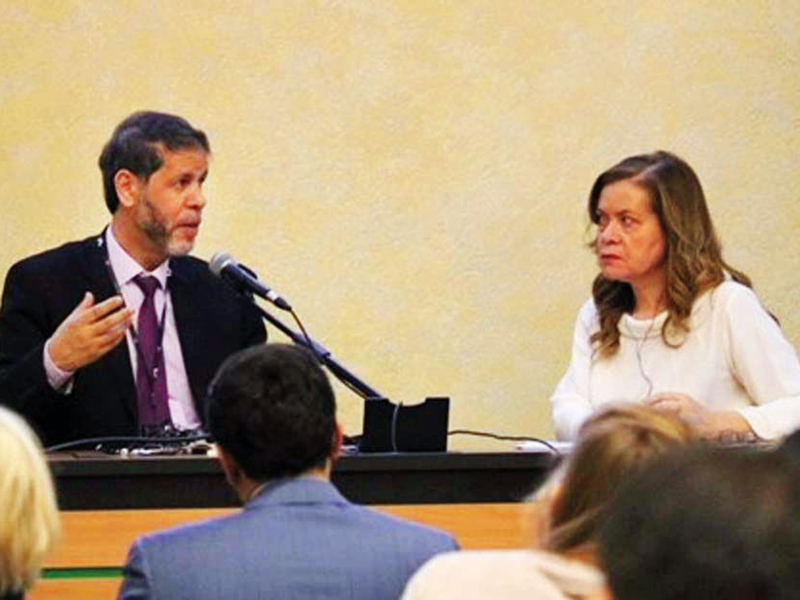 The festival was organised by the Catholic University of the Sacred Heart (UNICATT) in strategic partnership with the Sharjah Book Authority (SBA). Taking part in a session entitled, ‘The Evolution of Historical Dictionaries of the Arabic Language’, Dr Al Mosteghanemi and its participants discussed the importance of the dictionary and the key challenges that were faced during its creation, in addition to the standards that differentiate it from other Arabic language dictionaries. “There are many dictionaries in the Arab world, but none as comprehensive as this one, which documents the history and evolution of all Arabic words. This project faced challenges, especially those that were related to its massive scale. The historian or linguist cannot build on specific references and leave others. They should not include books on literature and its genres and ignore books on philosophy, history and other sciences,” said Al Mosteghanemi. “The Germans were among the first to write a comprehensive historical dictionary. The Deutsches Worterbuch project was begun by the Brothers Grimm in 1838, but was stalled due to their deaths. The dictionary was finally completed about 120 years later by a succession of later scholars and institutions in 1961,” he added. He pointed out that the project entails the development of a Digital Language Registry along with the physical dictionary. Each year, the Arabic Language and Culture Festival celebrates the contributions of Arab culture and promotes its icons. The fourth edition of the festival has brought together key Arab writers, researchers and historians, shedding light on the vital role of Arab women writers and scholar in the enhancement of human culture.